This post is a bit overdue, but I want to make sure I get it in before the end of winter. Perhaps the greatest feeling in the world is waking up and finding out that it’s a snow day. I think the best kind of snow day is the one that comes when you most need it and least expect it. When you have an impossible amount of work due the next day, when you’ve been working hard for the past few weeks and just need a day to catch up, when you really want to relax in bed with hot chocolate… that’s the best time for a snow day. I can’t really describe it, but there’s this crazy feeling of hope creeping up in your chest, and even though you’ve told yourself that this is it, you need to concentrate on your work because if there’s no snow day you’re going to be in big trouble, even though you know there probably won’t be enough snow, or that they’ll clear it all away in time, you’re still thinking what if? What if there’s no school? And then you wake up the next morning to find that the world is white, and you can snuggle back down under the covers (or you might be too excited to go back to sleep). I know it sounds a bit exaggerated, but there’s really a special joy reserved for snow days. And it’s different from having no school on breaks, because that’s already planned. This is like getting a piece of candy that you didn’t have to begin with. 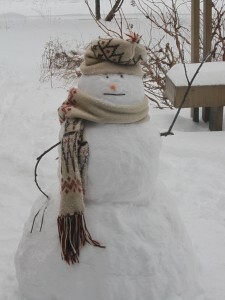 PHOTO: The picture above is that of a snowman I made on a snow day this year. 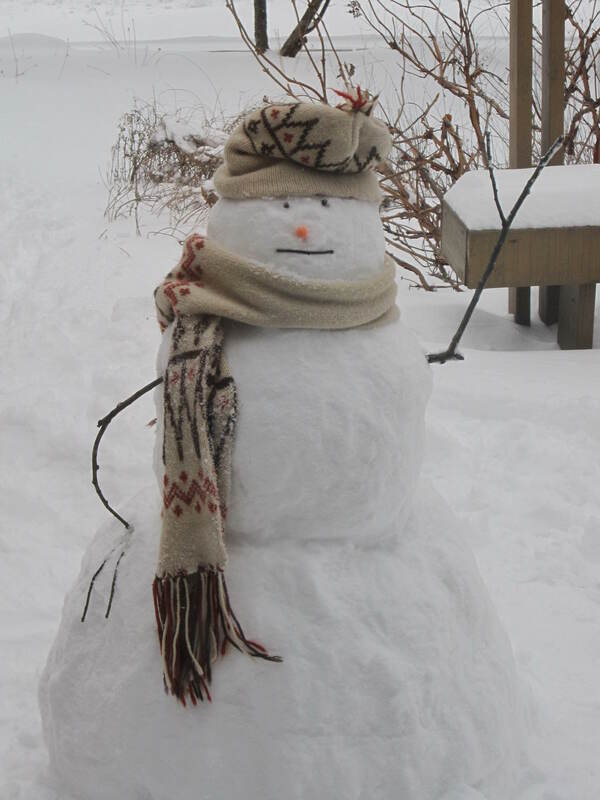 Snow days are great for catching up on work, but it’s important to have fun, too!